I’ve been running a lot of terminal windows lately and getting lost in all the tabs has been annoying. 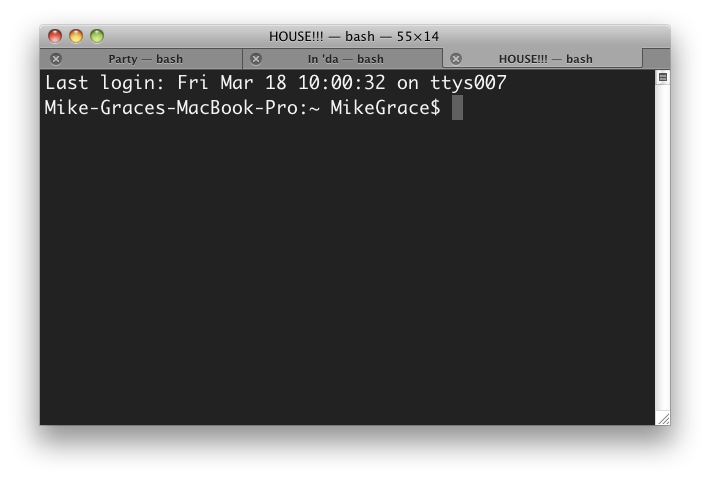 I started searching for a solution and figured out that it’s super easy to rename the tabs in the terminal for Mac OS X! 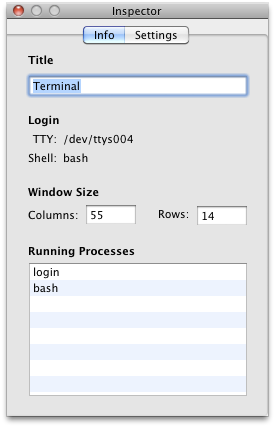 While on a terminal tab just use the keyboard shortcut of cmd + i to pull up the inspector window and then rename it. Easy! If when you bring the inspector window up with cmd + i and the focus isn’t in the “Title” input, you can use shift + cmd + i to put the focus there. 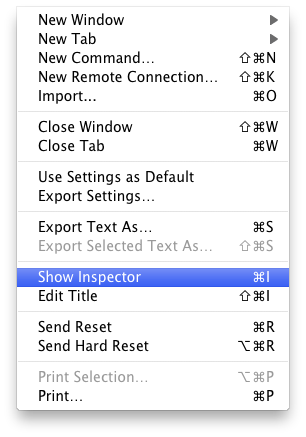 You can then press enter to apply the title change or just press escape to apply the title change and close the inspector.